Until now, the popular single-board computer has been specifically optimised for the Internet of Things version of Windows 10. However, there is now a tool that allows the installation of the full version of the OS on the Raspberry Pi 3. It is not all smooth sailing though. 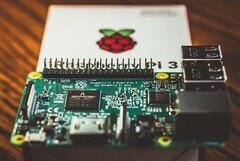 The Raspberry Pi Foundation based the Raspberry Pi 3 on ARM chips, which Microsoft does not officially support for its full version of Windows 10. However, José Manuel Nieto and Kryštof Černý, also known as SuperJMN and CornyjK, have published a tool on GitHub that allows you to install Windows 10 on your Raspberry Pi. The developers are also behind the recent Windows 10 port for the Lumia 950 and Lumia 950 XL. The WoA Deployer for Raspberry Pi 3 tool is now available to download and promises to be "super easy to use". All you need is a Raspberry Pi 3 Model B or B+, a microSD card and a Windows 10 ARM64 image, for which the developers also provide a link to download it. Then, extract the .zip, navigate to the GUI sub-folder and run the .exe file. The tool uses core package binaries that are not created by the developers and then creates a bootable microSD card using the Windows 10 ARM64 image. We must stress that you use the tool at your own risk and point out that Windows 10 on a Raspberry Pi 3 may feel slow, especially when emulating 32-bit x86 programs. Regardless, the developers have done a great job so far. You can find the link to the tool and the wider WoA Project here. There is also a guide at pi64 too.